Homey, delicious and very special. It never ceases to amaze me the reach one has from their own kitchen table. I’ve been blogging since January of 2011. Over that time I’ve gone from zero page views to over 10,000 per month. I have people looking at my blather from every corner of the globe. Recently I’ve had the privilege to be asked on Fridays to post recipes to a blog from New Zealand called Carole’s Chatter (link here). Carole is a self described “self employed semi retired woman of a certain age.” We’re two peas in a pod, except for the woman part. She “found” me a few weeks ago. On Fridays she does something interesting. 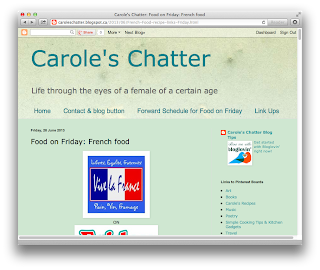 She puts out a call to food bloggers she likes to submit links based on a topic of her choosing. She has contacts all around the world that submit. Yesterday’s posting (here) was French food. I’m there at No. 95 (French Onion Soup). Chasseur is French for “hunter.” There are probably as many variations on “hunter-style” chicken as there are/were hunters. This type of recipe is most likely centuries old. Interestingly, as far as I understand, it’s not based on preparing a hunter’s catch. 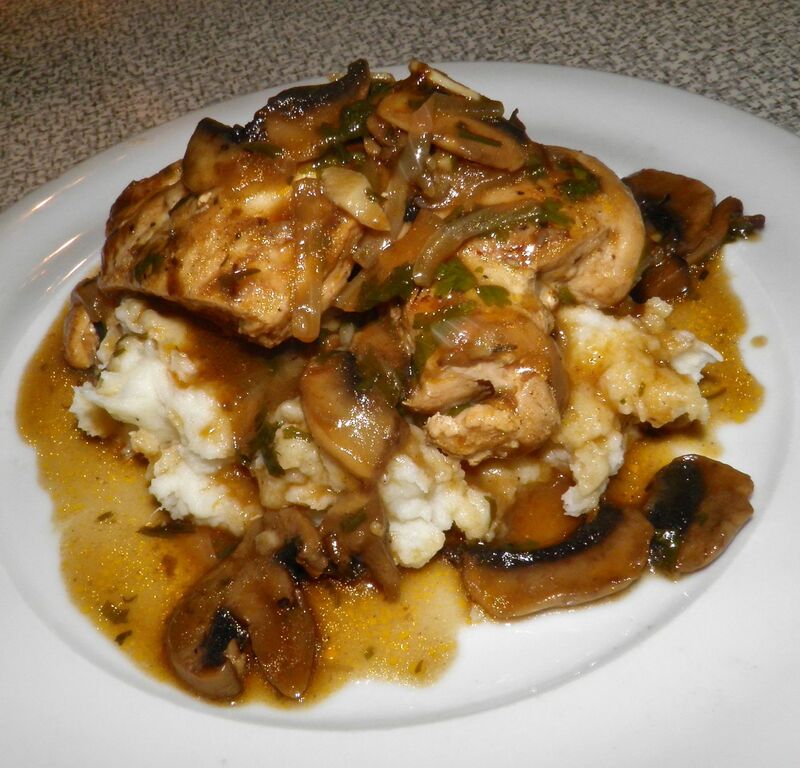 Hunter chicken is a country dish that uses a chicken when the hunter returns empty handed. The wife (not sexist, just the truth) had to be prepared for that eventuality. Luckily a chicken was always near at hand. Or at least easy to get your hands on, literally. I posted a recipe for Corsican chicken that is in the same vein. If you’re interested, the recipe is here. The recipe I found posted on Carole’s blog was a real winner. Of course, never one to leave well enough alone, I modified it slightly. Not a whole lot, but a bit. I didn’t have a whole chicken, but did have breasts, and a couple other ingredients changed to fit my pantry. The end result is deep and delicious and very “French” tasting. I always find it interesting that adding certain flavours to a dish turn it into a very “regional” recipe. In this one it’s tarragon. If you substituted oregano it would be more Mediterranean and completely different. Here’s my take on it. Thanks go out to Carole, and the original poster. Sprinkle salt and pepper on the chicken breasts. Heat the oil and butter in a Dutch oven or other heavy pot with a cover. Brown the breasts on both sides. Then remove to a plate. 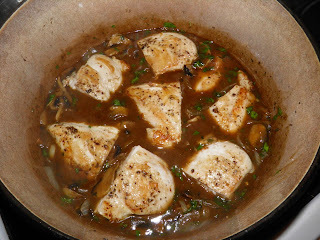 Add the onion, garlic and mushrooms to the pot with the oil/butter. Sauté until softened. Then add the flour and cook for about 1 minute. Add in the stock, wine, sherry, tomato paste, tarragon and cilantro. Add a little more pepper if desired. Watch out for salt as many chicken stocks are very salty. Adjust if desired. Slice each chicken breast in half and nestle back into the sauce. Bring the liquid to a boil and then reduce the heat to medium low. Cover the pot and let cook for 30 minutes. Serve atop a pile of buttery mashed potatoes.